Bacon Wrapped Jalapeno Popper Chicken - low carb and full of flavor! ON SALE: Two new eBooks! Visit the shop! Jalapeno popper chicken wrapped in bacon! 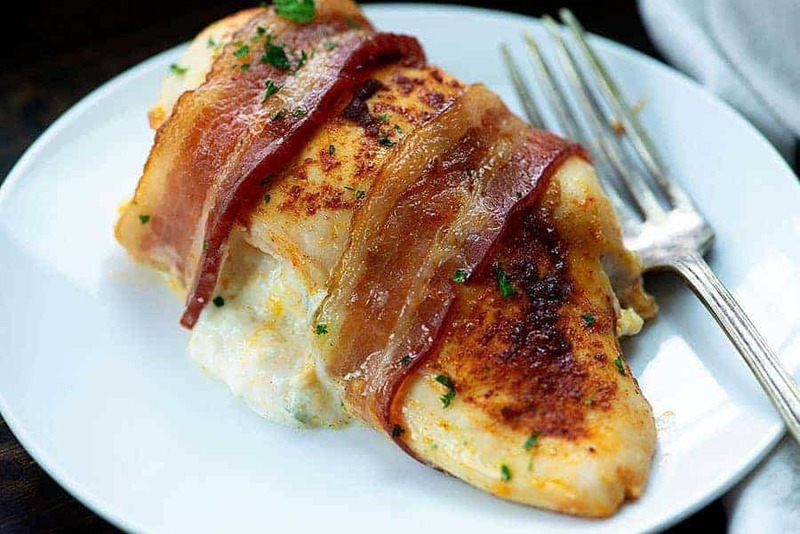 If you’re getting tired of boring chicken, you have to try this spicy chicken – it’s so juicy, full of creamy cheese and jalapenos, and best of all – it’s wrapped in bacon! Look, I’m getting sick of boring chicken. I’m calling for a change. No more overcooked, dry, bland chicken breasts. We’re making jalapeno popper chicken breasts wrapped in bacon. Because we want flavor. If flavor is your thang, check out my other creative low carb chicken recipes! 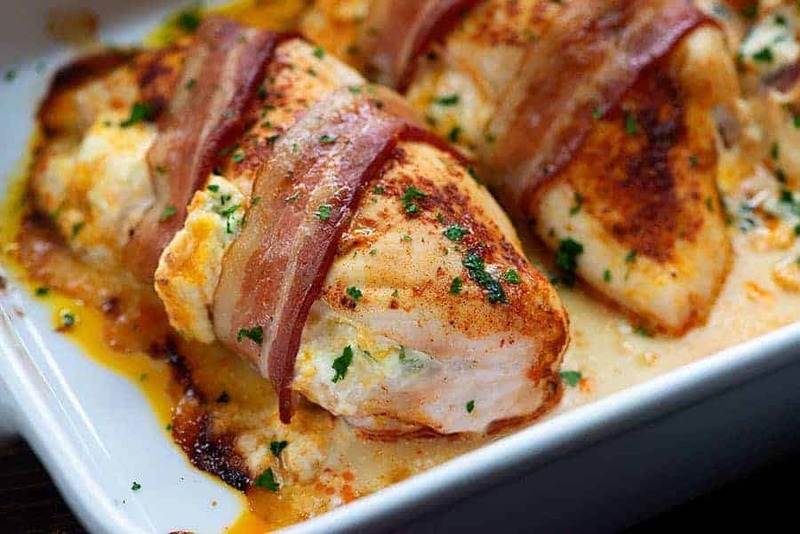 So, stuffed chicken breast wrapped in bacon. It’s my new jam. Hard to go wrong with bacon, my friends. And this bacon wrapped chicken comes out so juicy and so full of flavor, that it’s going to be your jam too. Promise. 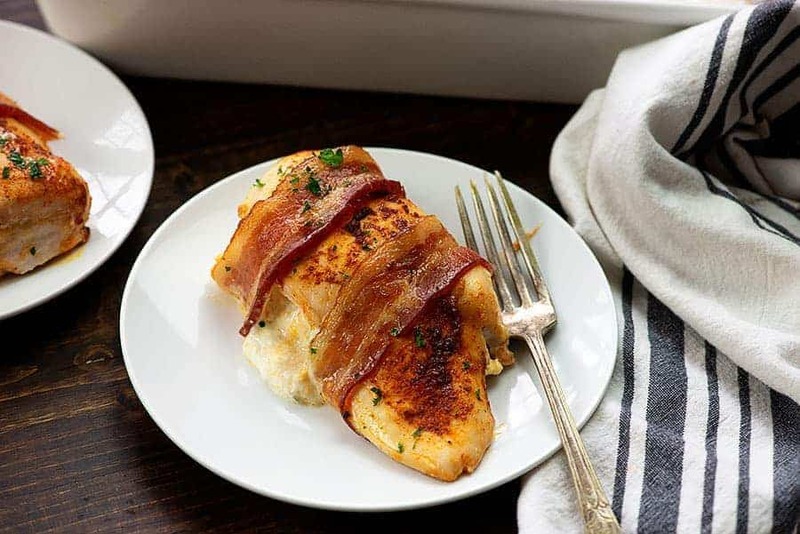 Guys, I know that stuffed chicken wrapped in bacon sounds like it might be tricky, but seriously – easy peasy. I’ll walk you through it. First up, you’re going to make your filling. We’re going spicy, my friends! Cream cheese, mayonnaise, cheddar, jalapenos, and a little garlic powder. Boom. Done. Next, let’s season the chicken breasts. I’m keeping things simple, because that filling has some good flavor already. You’ll drizzle the chicken with olive oil and then sprinkle on some paprika, garlic powder, and onion powder. Rub it in and get ready to fill those chickies. Grab a sharp knife and cut a pocket into the side of each chicken breast. Check out my video at the top of this post to see just how easy this is! Once your chicken is ready, spoon that filling right in. 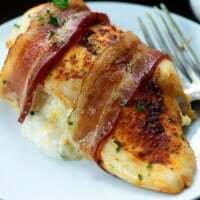 Grab your bacon, slice it in half, and arrange 2 half-pieces over each chicken breast, tucking the ends underneath as needed. Pop your chicken in a rimmed baking dish and preheat your oven to 375 degrees. This takes about 25 minutes to bake. If you’re testing with a thermometer, be sure you stick it into the meat and not into the filling! If your bacon isn’t quite as crisp as you’d like, turn the broiler to high and let it cook for another minute or two. Keep a close eye any time you use the broiler – things go quickly under there! What goes with chicken wrapped in bacon? 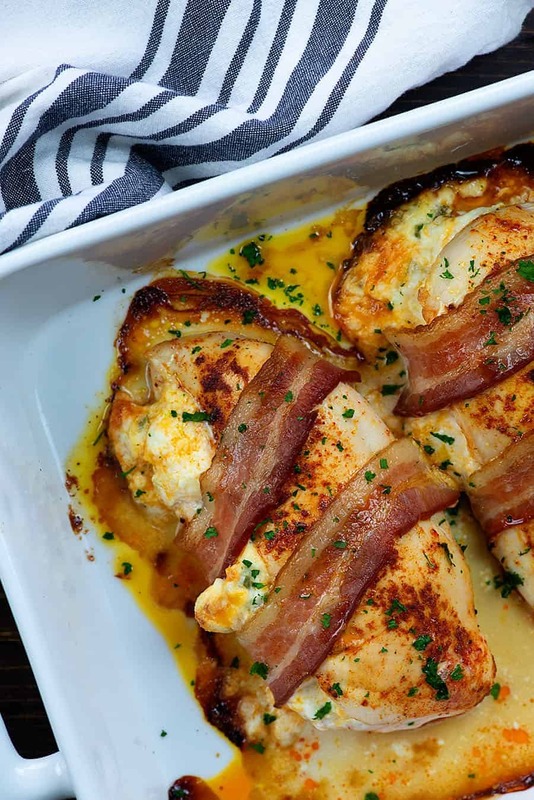 Because this bacon wrapped chicken is full of goodness (cream cheese, mayo, and cheddar – three of my favorites), I like to keep things a little bit lighter for sides. Try my keto coleslaw or a simple green salad with some steamed veggies for a complete dinner. And if you just can’t get enough spice, try my jalapeno popper stuffed peppers too! Hope you guys love this jalapeno chicken as much as we did! This bacon wrapped jalapeno popper stuffed chicken is the most flavorful chicken breast you can make! The crispy bacon and spicy peppers make this oh so good! Drizzle olive oil over the chicken breasts and sprinkle with paprika, garlic powder, and onion powder on each side. Rub the spices into the chicken to coat. 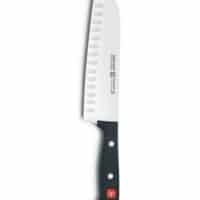 Use a sharp knife to cut a deep pocket into the side of each chicken breast. Set aside. Add the cream cheese, cheddar, jalapeno, mayonnaise, garlic, and salt to a small bowl and stir well to combine. Spoon the mixture into the chicken breasts. 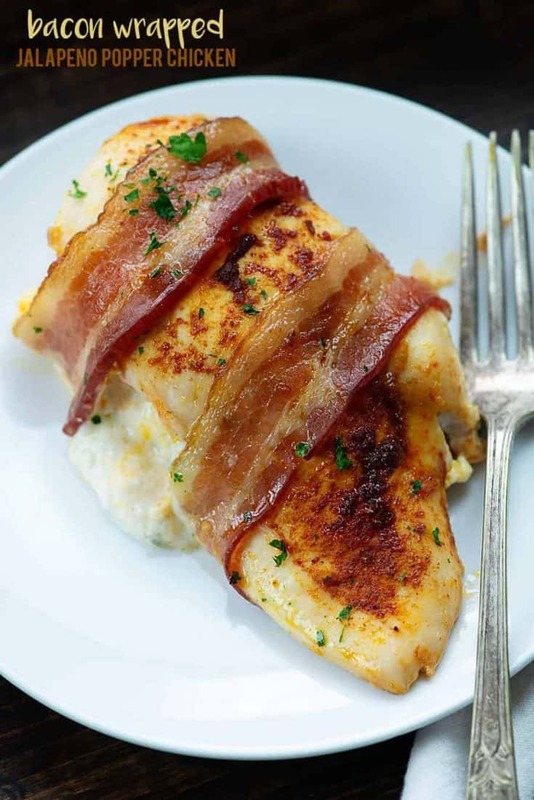 Cut each slice of bacon in half and lay 2 pieces over each chicken breast. Bake for 25 minutes or until the chicken is cooked through. If you’d like to crisp the bacon even more, place the dish under a broiler set to high for 1-2 minutes. Use more or less jalapeno as desired based on your preferred level of spiciness. All information and tools presented and written within this site are intended for informational purposes only. This information is provided as a courtesy and there is no guarantee that the information is accurate. Karly has been an active food blogger for over 10 years. She currently runs two blogs, sharing recipes and bits of life with her community of over 2 million readers each month. This is easy to make, delicious and inexpensive. Thanks. New recipe for my husband and i as I work about 140 hours in 2 weeks. It was easy, quick, and so full of flavor! We love it would you happen to have any freezer recipes as well? Trying this tonight! 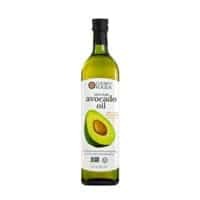 What do you reccomend as a side dish? Looks great. I am very excited to make this for dinner tonight! What is the purpose of the mayonnaise though? It adds creaminess to the filling. This looks delicious! I want to try it tonight but don’t have cream cheese at home. Any supplementation suggestions? No, I’m not sure what else would work well. Just made this delicious dish and my feedback was ‘tasted a bit like Nando’s’. I for one, am disgusted. Great dish though! Can this be wrapped in aluminum and cooked on open flame? I’ve only baked this in the oven. New eBooks available in the shop!SHOP NOW!